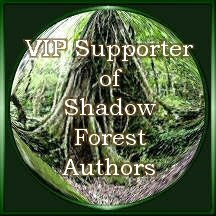 I recently became a member of Shadow Forest Authors (SFA), an organization that supports and promotes international literacy. I am donating new and used books to SFA's various beneficiaries who then see that these books go to people around the world. What a wonderful movement to be involved in. I invite all my fellow authors to consider doing the same. All that's required is a minimum 1 book donation. I've personally decided to donate more and will continue to do so throughout the year. To readers, you can also get involved by sponsoring an author and purchasing their books to send to one of the beneficiaries. There is a list of authors on the SFA site. I would be so pleased if you'd consider ordering Whale Song from Amazon. You can send it directly to any of the beneficiaries listed on SFA's site, including the Anthony Robbins Foundation and Book Aid International. Since Whale Song is already being used in schools and resource centres, I know it's the perfect book for helping those with lower reading abilities. Please check out this awesome organization that donates books for charity and help us if you can.